Most of the stuff has been finalized. Waiting for a second proto and color samples. Left Handed / Semi-reversed full sized board. Top mount. CNC aluminum. After running the compact version of the Southpaw, there were a few things that I thought could be improved upon and some thing others wanted so I present to the community, the full size southpaw. 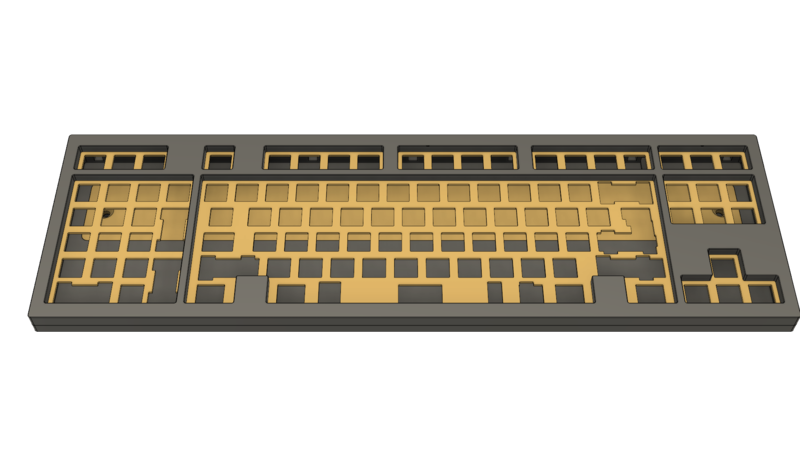 Some people wanted this in a 96 key layout for the Fn row and after looking into that, there were a few issues (keycap/layout compatibility and case design to name a few) so I decided to go the "full custom" route. - MOQ of 45 units. Pricing structure will be based on chosen options. Those include your preference of material, finish, and if you want the version with the weight or not. A complete kit starts at $265.00 USD. This pricing is NOT YET FINAL and is subject to change. 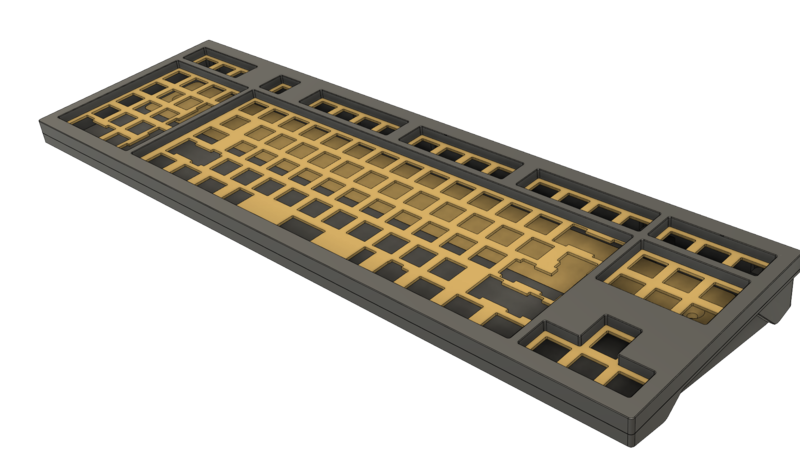 The layout is simmilar to that of a LZ-RV but with the option of a mirrored numpad and a winkeyless version. Board will be at a fixed 8.5 degree angle with a relative low front face at around 16mm. After typing on some really high boards, the lower you can go, the better. I don't want to make things paper thin though, so that was as low as I was able to bring it. Design wise, I wanted something clean and simple, but not quite boring. Thicker bezel on top and bottom, thinner ones on the sides as well as a stepped cutout on the side and a raised rear edge. I had a poly half plate offering at first but in the end, it didn't really make much sense as acrylic gives a very simmilar feel and is a million times cheaper because it can be laser cut easily and accurately whereas poly needs to be CNC machined slowly as coolant can't be used and because of how susceptible to warp the material is. Half plates will still be offered in both aluminum and acrylic. 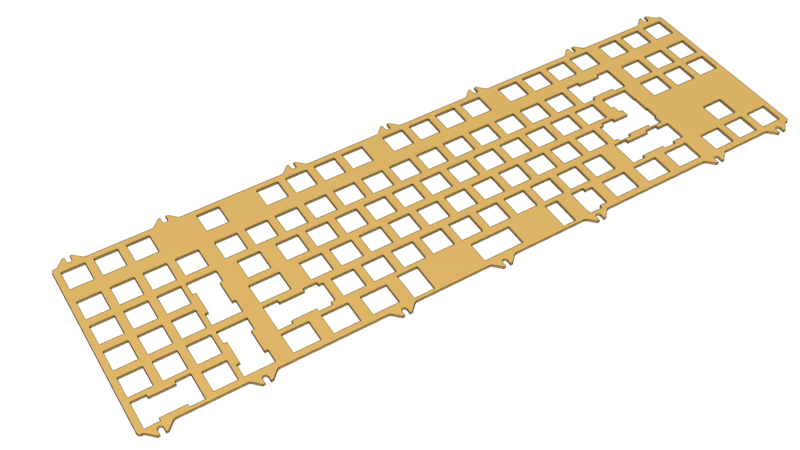 The board will use a semi-isolated top mount configuration similar to that of the TGR Jane. SE will also feature a brass weight that drops in and bolts down from the inside. I'll probably offer custom laser marking so you can laser anything you want to the weight. Special finishes will probably include the following. They will be at an additional cost. 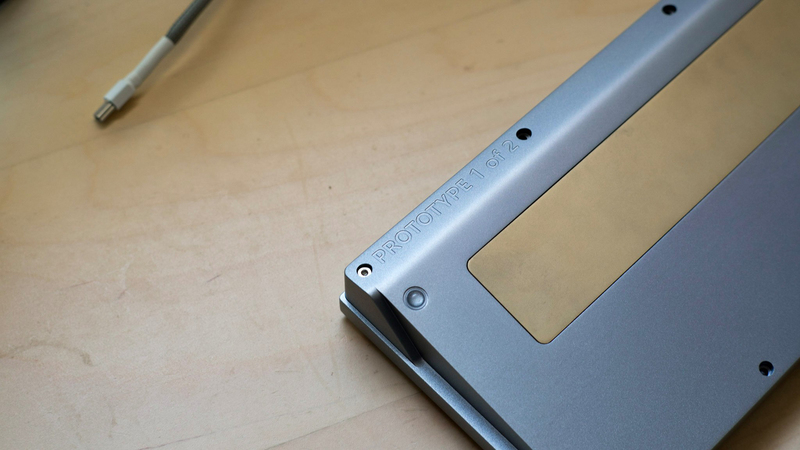 Note that hard anodized grey on 7075 will give you a very light titanium grey vs. a true grey as hard anodization on 7075 gives for a bronze-ish overtone. This will start after I wrap up the current GB and boards arrive in everyone's hands in working condition. Hopefully, we won't hit any delays with this since CNY only comes once a year. There is not really a timeline at the moment, but it kinda looks like this. - Finish Southpaw 65+ GB - Timeline adjusted. This will be done before 65+ wraps up. ISO and left hand support. Both my disabilities tackled! wait why? 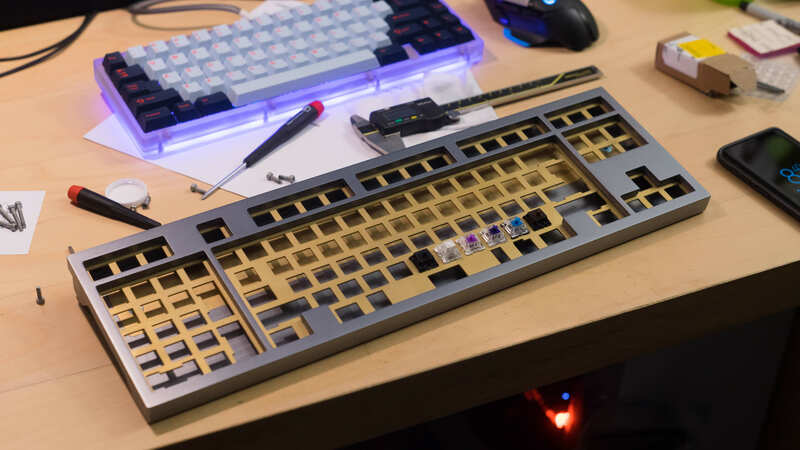 LZ has patent on this layout now? can we stop with trying to be design police. 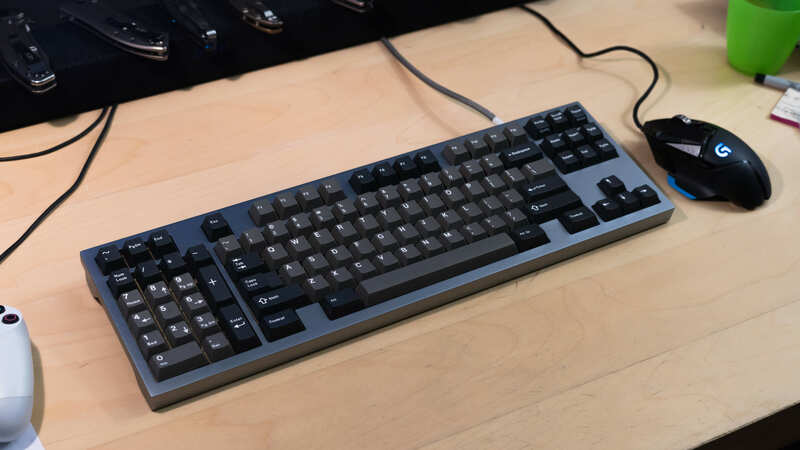 Did LifeZone run that past companies that made left-sided numpad boards before he did? Does anybody that runs custom keyboard GB's run theirs through Christopher Latham Sholes? I've wanted an LZ-RV for a long time. I'm definitely in for this! 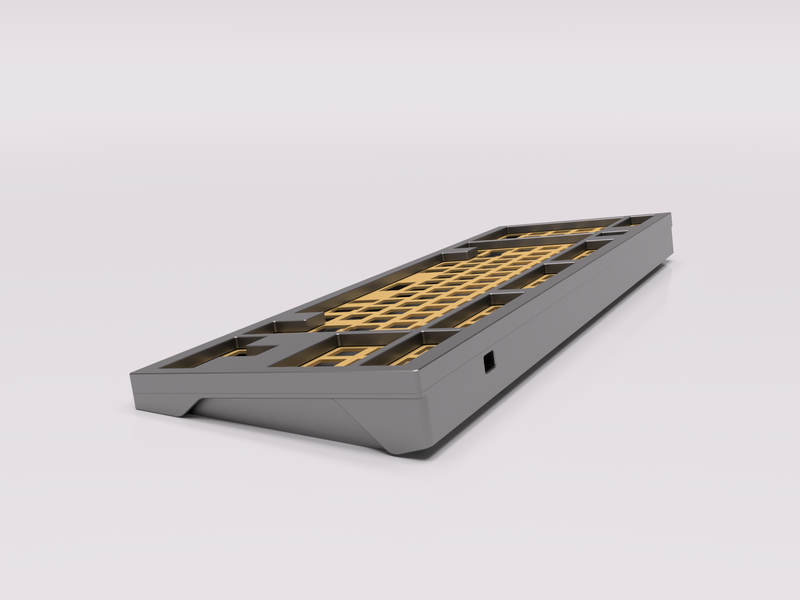 Any idea if the pcb will be QMK? Or will we have to suffer through using bootmapper client? 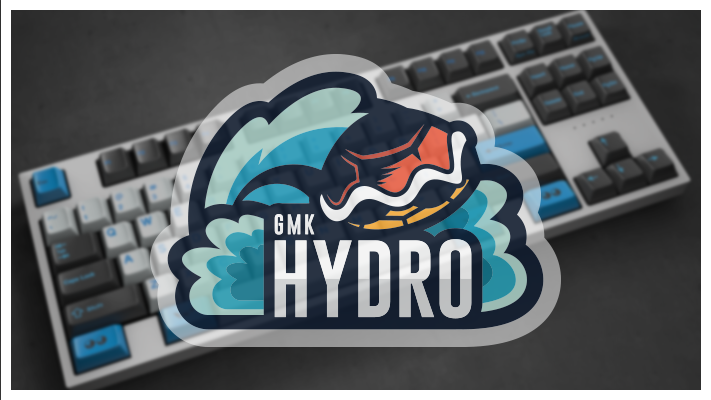 Oh geez, I hope every group buy runner and their mother better run it by dfu for the hhkb layout. Or better yet, run it by Apple directly. While we’re at it let’s tell Sherryton to run it by Cherry first since he’s selling WoB “Originative” cap set. I'm down for this, I like it. I know I'm in the minority, but please no QMK. Shout out to the LH Full Size KB Massive. I believe this was one of my Wishes for 2018. EDIT: I would make the numpad reversible - precedent has numpads unchanged when used on the left, but if I were to have a shot at V2 I would put the [ENTER] and [PLUS] on the left, or at least have the option to do so. Also [Winkey] - I get the removal on smaller boards which are literally base on "minimal", but taking off the OS key from a full-size just seems a little, how should I say, petty? You have my interest - following! 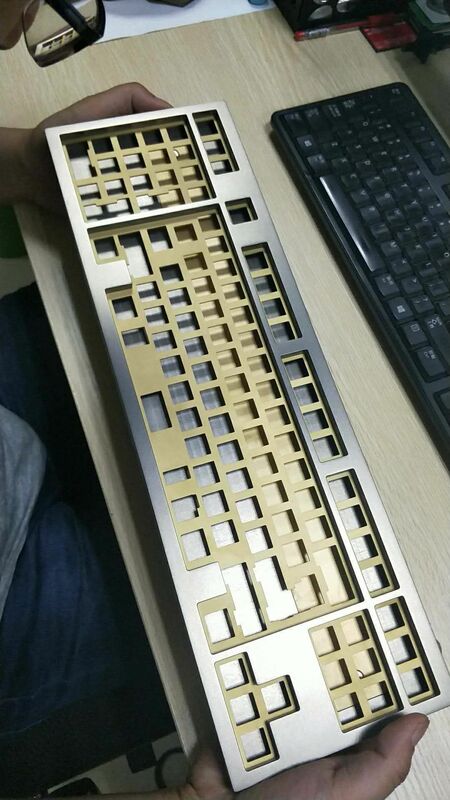 EDIT2: At full-size, I don't think you need a brass weight with so much alu and switch/cap material already there. 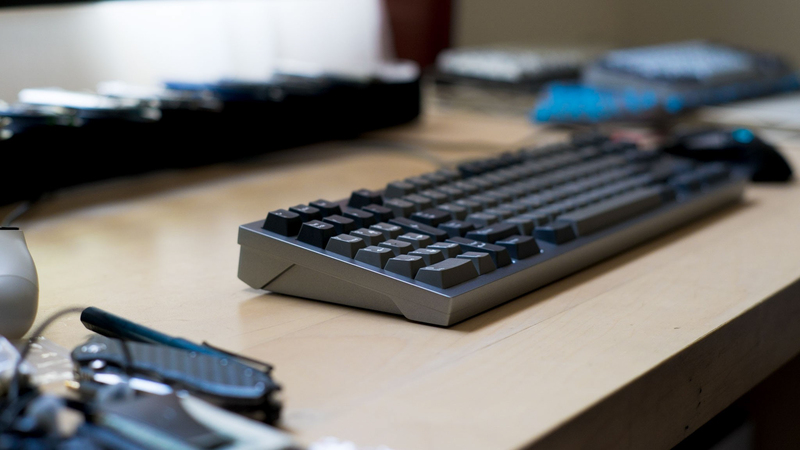 Awsome, I was looking for a TKL with a giant macropad to the left! I like it! 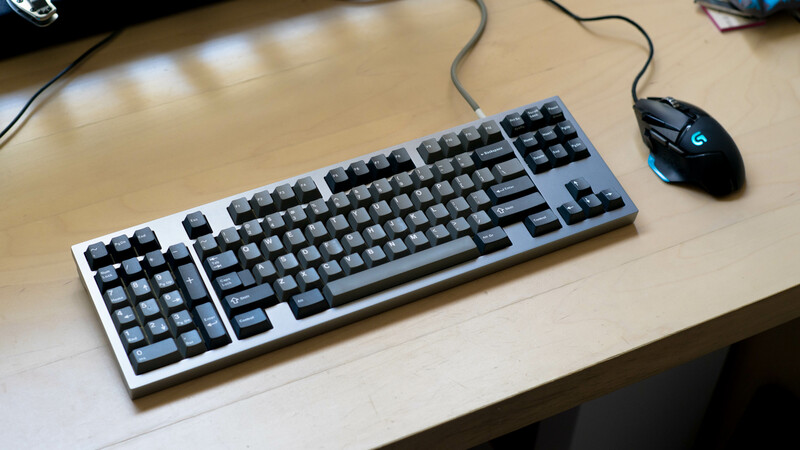 All the keys but with the reduced arm-travel of a TKL. I haven't gotten a PCB for this yet. 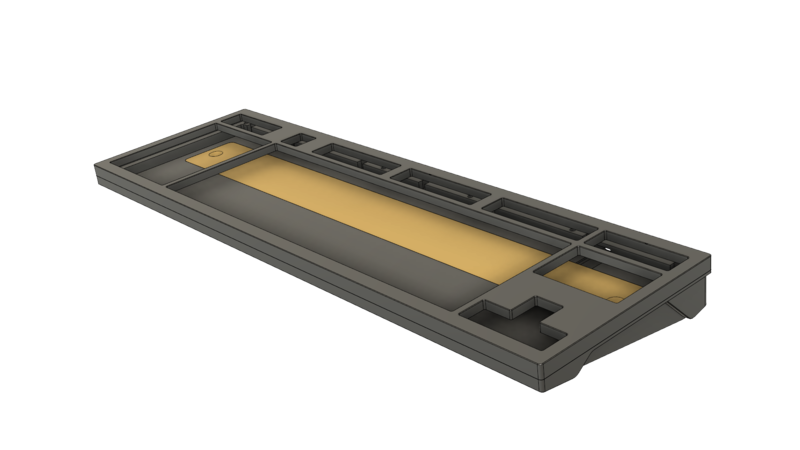 I'm planning to finish the case first and find a PCB designer after the case is finalized. 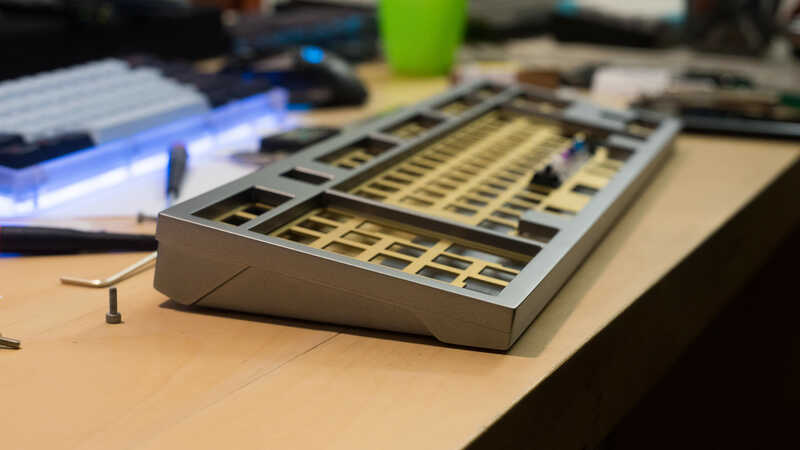 For the time being, I'll most likely be chopping up a b87 EX PCB and wiring the numpad across the underside. 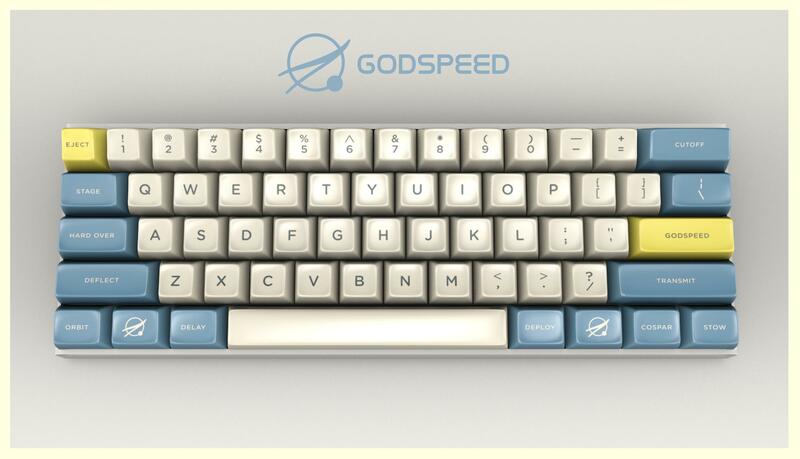 Just wondering, but why no QMK? I find it pretty easy to work around. What would you prefer? A number of people are asking for the mirrored numpad so I'll try and see if I can support that. It'll certainly need separate plates though since creating a cutout for both sizes on one plate removes a lot of stiffness since this is top mounted. I'll look into alps support. The only issue here might be the number of layouts on the PCB (with winkey) and plate MOQ. I'll most likely run a winkey plate and top case. Seems to be enough interest for it. Definitely interested, though this might get pricey! I presume hard anodization is otherwise the same as regular anodization but has better durability against wear and such? Why no QMK? Something else? Type C or Mini B? Let's just say I've built a few boards that used QMK and it completely turned me off from using it ever again. Why is beside the point and this type of conversation always turns into QMK evangelism and goes off topic. I get it, it's powerful. It's also not the best option for everyone. Yeah QMK does have pain-points, I would love to have a defined installation that allows me to create a keymap firmware without worrying about dependencies and OS versions. Right now I can't use QMK with Pearl40% because my Ubuntu is too old to compile to the correct AVR target for instance. I think QMK developers are working on making the whole process simpler, e.g. removing setup steps and allowing folks to just get the keymaps they need via some API. 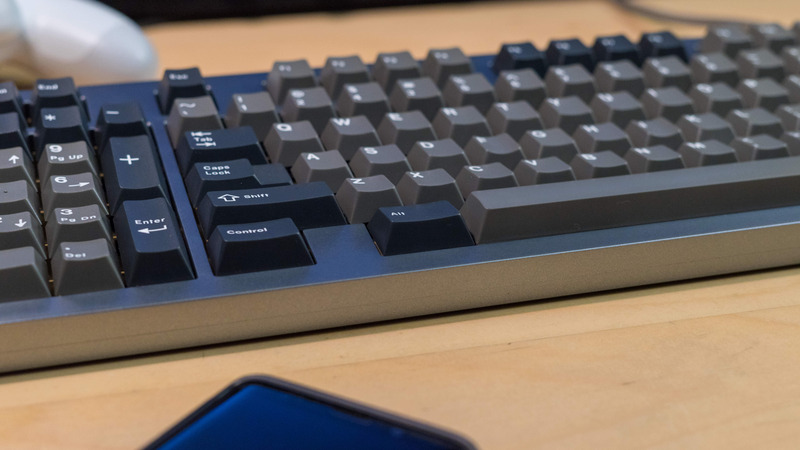 I like QMK but I do agree that it is not for everyone at least right now. Gladly there are some tools to bypass QMK at least. Well, I'd be happy to help build keymaps for people. I have one board with bootmapper and it is a significantly more painful process just to remap a few keys. My setup is a fork at GitHub and the official repo is an upstream. The dependencies need to be installed once and after that, you can just make HEX files with `git pull upstream master && git submodules init` and `make board:layout` with flashing using `dfu-programmer` (or `bootloadHID`). Makes it pretty simple to get upstream enhancements and send pull requests for your layouts and other things. Have not used QMK with Windows so would not know about that though. For non-programmers, this is pure hell though. QMK should have a single binary which reads a somawhat human-readable keymap file and outputs a HEX for you, with the option of auto-flashing on supported boards/MCUs for the layout. And no, using something like Docker for a "binary" is just not the same. 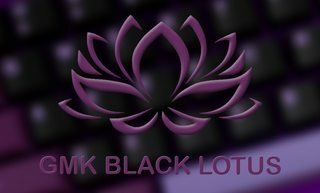 People want a simple qmk.exe which they can run. As one of those non-programmers this entire conversation shows that I'm about 30 IQ points short of understanding what exactly I've gotten myself into with this board. Honestly, once the build environment is setup, editing the keymap file is pretty straight forward. They've also made setting up the enviro much easier since the last time I used QMK. I would be very much so about this board. Most likely in depending on final pricing! Acoustics aside, which should hopefully resonate like the casaba, I adamantly support the mirrored num-pad. I'm impartial to QMK, given I've never coded for a keyboard. . . Otherwise, I'm not really sure what input to offer. . . This is sacred work, brother, SACRED! the absolute madman, still excited to get my southpaw 65+, will maybe get in on this. I'd much prefer TMK over QMK. 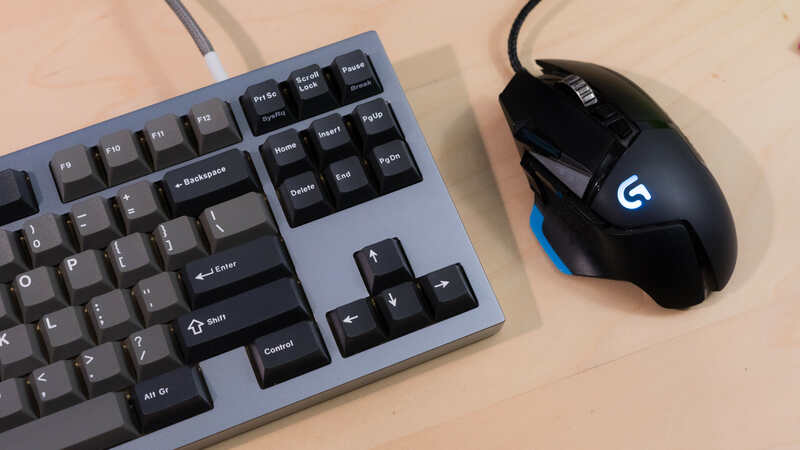 I really like the look of this I'm not left-handed but I still prefer to use my number pad with my left hand and keep my right hand on the track ball I would prefer WKL for Aesthetics but probably not a deal-breaker. Alright, so a small update here. I've talked with two factories so far and just realized that I needed to do something with the pricing structure. I'm about 90% sure I'll be able to offer this kit right around the $400 mark, but things like the brass weight and brass plate will be an added cost. Base price will most likely include a stainless steel plate with PVD or a nicer finish and an aluminum inset for the weight. Regarding WK and WKL, I would like to be able to offer both, but pricing is highly dependent on MOQ. Right now, the interest check is only live on GH and I have around 35 submissions. Best case would be 50 or more total units. Once I have the proto in hand I'll do an IC on reddit and soforth. Also, just a little food for thought, but without the need for a weight, there's a possibility of doing a full acrylic bottom for underglow since I'm 100% against putting threads into the acrylic since the stuff cracks when you even slightly overtorque anything. Edit: Also, concerning the mount, the mockup that is shown is slightly wrong and I've forgoten to add another o-ring on the other side (the side that is showing). 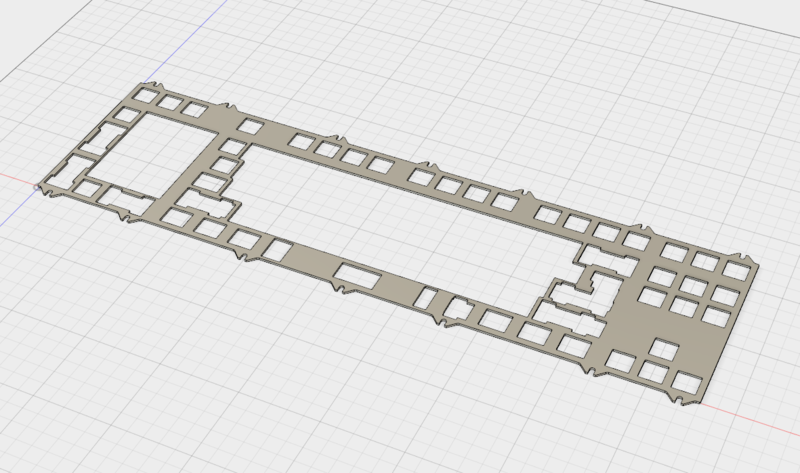 It's basically supposed to be "ghetto gasket mount" as far as feel is concerned, but I'm thinking that you should be able to mount it both ways. 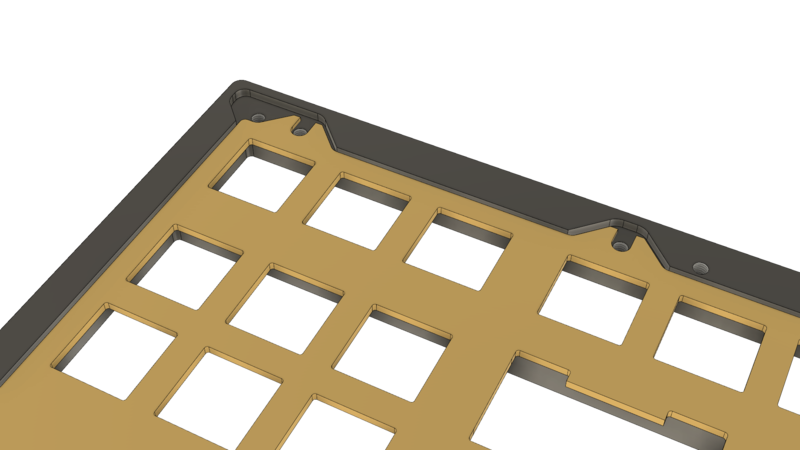 Removing the washers and running it as a traditional top mount would only raise the surface by 0.5mm and shouldn't affect how the keycaps sit on the board. It's great seeing you is getting plenty of interest in a left hand kb. Keep it up, I'm looking forward to the progress. Would that "special edition" version of the board be a limited number sale or would it be as open and the cheaper version? Edit: I'm asking because being left handed has made me incredibly exited to throw money at anything that's lefty friendly. Planning for limited sales of that one, but it really depends on how the factories structure MOQ and pricing. They seem to be all over the place. I would be OK without a weight. As you said, it is already quite a hefty board so maybe it does not need one. I'm down for an option without the weight. But I'd prefer not to have an acrylic bottom, don't really want underglow on a nice board like this. Just finished the final designs for the protos today. Plate will be shared between WK and WKL. I'm moving to a design that doesn't allow switchtop removability as it's a fair ammount easier for the factories to produce without mistakes and is a quite a bit more stable. Edit: If you also take a look at the stab cutouts, they're larger than normal and cut on both the top and bottom so you're able to remove the housings after everything has been soldered together in case there's a stab that was rattly or wasn't tuned to your liking. Are you still considering a plate with a mirrored numpad (ie. + and enter key on the left side of the plate) ? Need to clarify: will this support a split right shift or not? Just rechecked the key layout and it is missing. If you're removing switch top opening from the plate, I'm out unfortunately. This should support split right shift. I haven't updated the layouts yet. Yep, still considering that. Will be on a different plate though. From an aesthetic perspective, I would suggest taking a close look at the spacings on the F-row which I think could do with a bit of massaging. I would add another key on the left cluster, and equalize the spacing on the [esc]-[F1-4]-[F5-8]-[F8-12]. Alternatively, if you want to keep the 3-key cluster on the left, you could increase the space to the righ of [esc] to equalize the gaps either side of it. 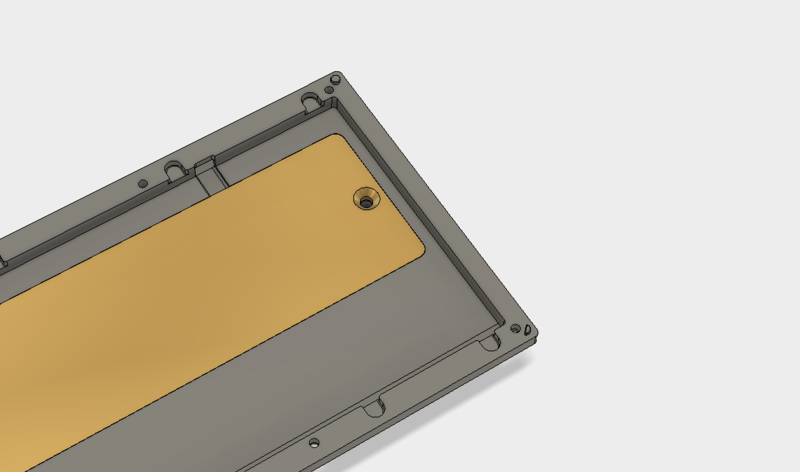 FWIW: The usual approach is to just glue brass standoffs into drilled or machined holes in acrylic, if you do need to screw something into an acrylic piece. Dude, Recondsiderit. You're On FIRE. My only request is that you add a Winkey Verison. I see what you're saying but I don't think the [esc]-[F1-4]-[F5-8]-[F8-12] portion should be changed. On a full size, this is the spacing that they *should* have. And I don't really think that the 3 keys above the numpad make it feel "unbalanced" at all. 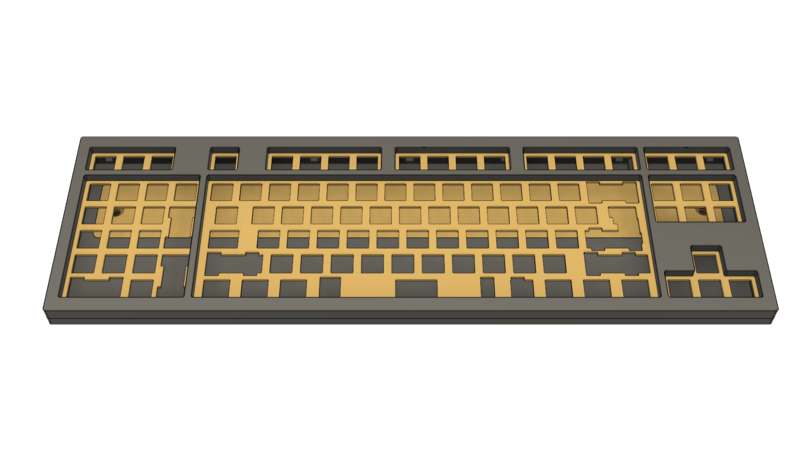 However, I'd be in favor of reducing the keys above the numbad (from 3 to 1 or 2) in favor of adding a small/simple logo or some engraving there. Thoughts? It's not the number of keys per se, I was mostly focused on the varied spacings between the blocks: currently there is seems to be 0.25, 0.5, 0.75, 1, and 1.25. From a design perspective, the fewer unique cases the better, otherwise it risks looking inconsistent, regardless of the logic behind it. Increasing the space to the right of [esc] and closing up the spaces between the F-blocks could reduce the unique cases, though I haven't studied this and of course it would affect the *should have* spacing. It's a balancing act to keep precedent and a unified feel both satisfied. EDIT: by closing I don't mean to zero - a 0.25u shift right would help the balance. However, this does break the alignment at F1 and the keys below. I would take that hit as the F-rows are an independent block and alignment doesn't read with the adjacent number row as strongly as the inconsistent spaces, but it's understandable if others wouldn't, esp. if the intent is to keep everything compact, especially if the form is compact. EDIT2: on looking again, my first edit is not the solution as the F5-8 block would need to shift right by 0.125u and not give the universal result I thought it could. It would need to be a different fix. Or, as you say, leave it be. Alignment is a ***** in design, usually two sacred requirements are in direct opposition. I disagree with the above comments. I think it's seriously perfect. Don't change a thing . Only thing I personally would like to see is slightly larger gaps for ease of key location while touch typing. If I were to be nit picky. I am beyond stoked for this project man. Like seriously. I've been waiting for the perfect TKL to arrive, and I wanted to add a numpad of some kind to the left hand side. Edit: On second thought, if it's not too much of a pain, could you offer a half plate option? I've been fascinated by this since seeing it on the FR87 proto. Omg. I am so excited about this. I have to post again. 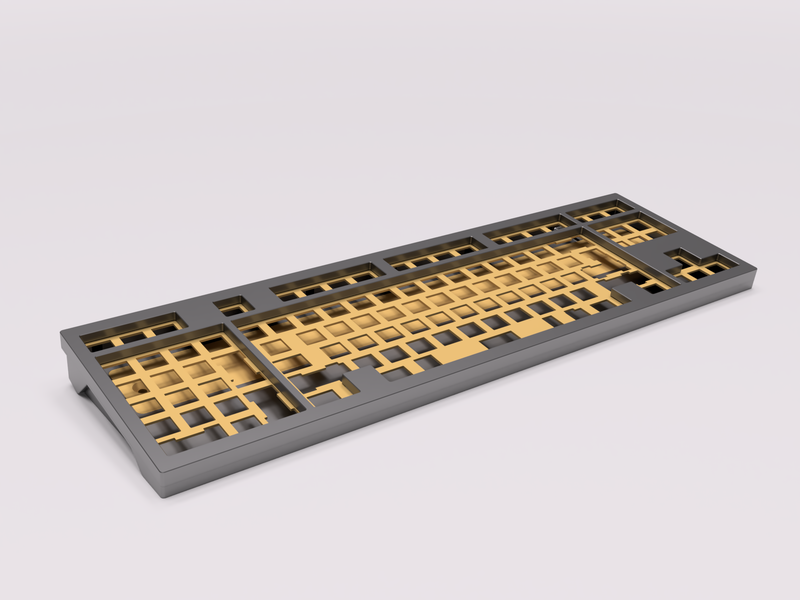 My initial idea here was to keep the same spacing as a traditional TKL and add have 3 keys instead of 1 above the numpad. I wasn't really sure what you would do with 1 key, but with 3 you can map macros onto them or use the firmware to configure them as NCS indicators. You're killing it, man. Love, love, love the design as is. Just updated pricing and layout. I'm not sure how many units LE is going to be limited to yet, but that's to come with the rest of the details later. All the stuff below has also been updated on the top post. - Hard anodization, MAO, and standard anodization finishes available. - Design of your choice lasered onto the weight. - Limited to a certain number of units. Spots will be raffled off. 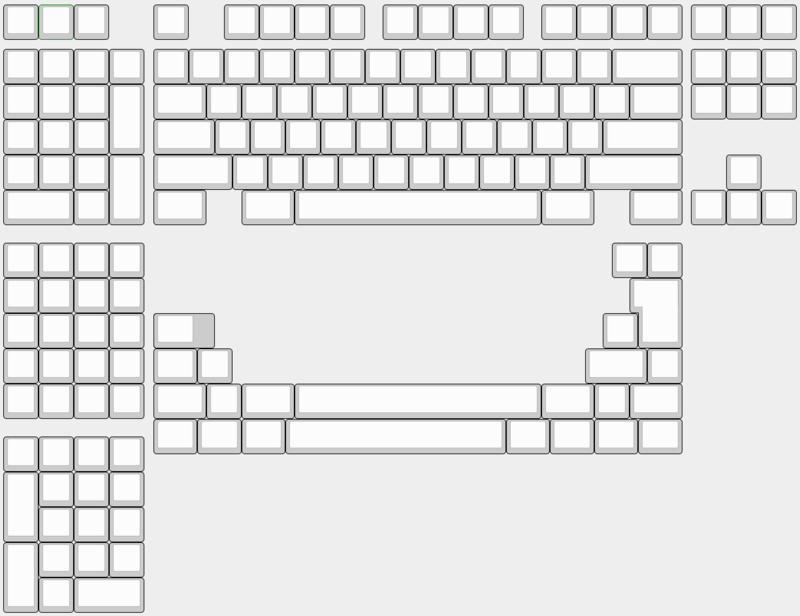 The layout is simmilar to that of a LZ-RV but I wanted WKL blockers so this is what I have so far. Same plates are going to be used for WK and WKL but we'll need different plates for standard and mirrored numpad. Location: Where I want to be. Any word on which version of USB? Putting my vote in for C, thanks! New and revised top design. Apparently it only costs a few dollars for the factory to machine it like this so it'll be done like this. Slip fit interface so it'll align itself perfectly. Can I throw money at you now? Could we get a live color swab? I'd love to plan way ahead. I'm planning to get that from the factory at the same time as when prototypes are done so I can kinda do a quality check and getting shipping all in one go. I'll most likely offer a polycarb half plate for those who want it. Polycarbonate as it will give a more consistent feel across the board. 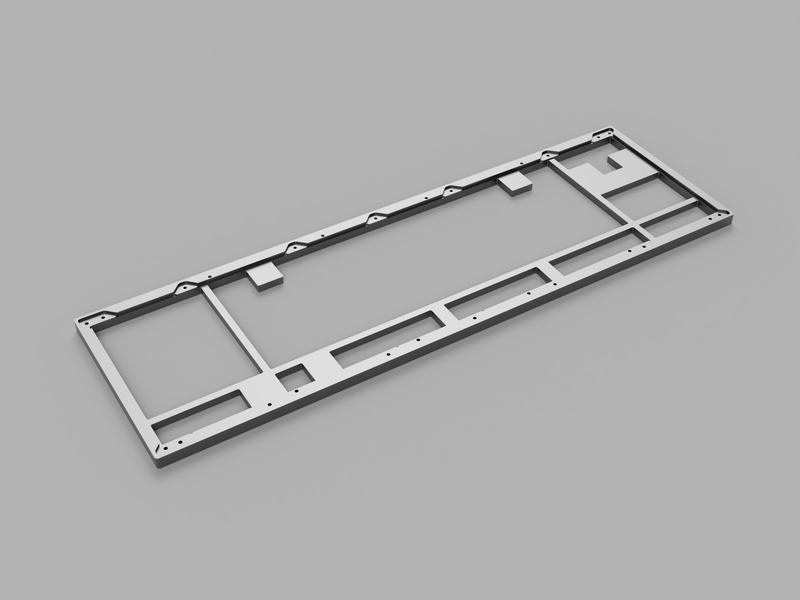 The "plate-less" parts will be cut for the alphas as well as the number pad area. Some images below for you guys to get an idea. I could kiss you right now. lol. What's the difference between normal black and hard-ano black? Google says hard-ano feels smoother, but is thicker, harder and more sturdy than normal ano. Though I didn't find anything regarding different looks right now. Here's a decent video that shows the difference in durability between the two. That doesn't mean that these two parts were made by the same shop. But yea, I'm pretty sure it generally looks smoother like that. Someone more knowledgeable should probably correct me here. While looking up the differences I read that it'd be smoother, so I guess the two in the video might be from the same company, with the single difference being hard and normal ano. Kinda wanna clear up the anodizing thing since people have been asking. 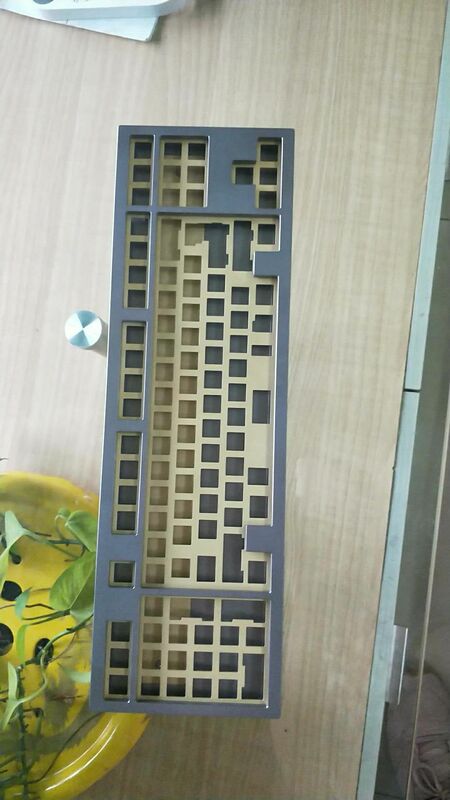 Hard anodization is only offered in grey and black because of constancy issues when its dyed different colors. I'm even concerned with grey hard anodizing since it will need to be dyed. Hard ano both builds up and penetrates into the aluminum and is why it gives different color undertones when applied to different materials. 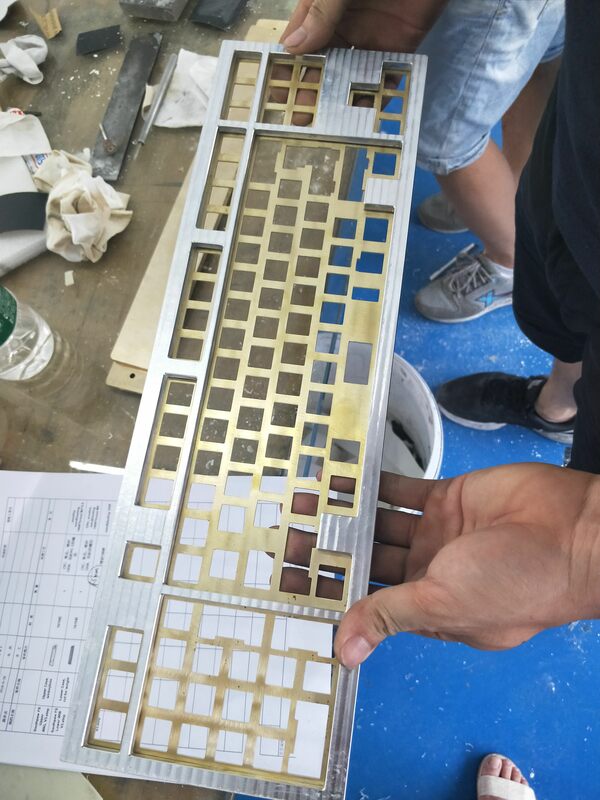 6 series is a magnesium based aluminum alloy whereas 7 series is zinc based which is what gives it the hardness and the bronze-ish color when natural anodizing is used (the same color as seen in the video thats been linked above). 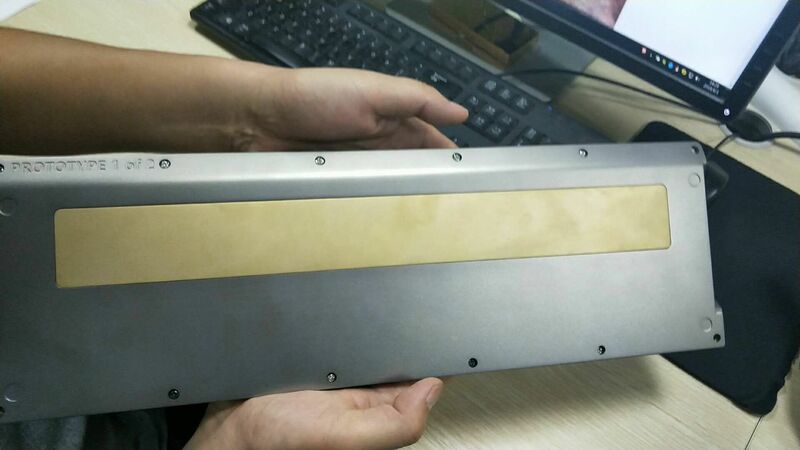 Think of hard anodization as a protective coat and normal anodization (type II in this case) as a dyeing of the aluminum. As for the sheen or brightness of the anodizing, I can't yet say. I'll have ano samples done at the same time I place the order for the prototype. The anodization and finishing is all done in house so it should be consistant and should be easier to work with in the case that we get results that are undesired. Now I can't decide between WKL and Full! Take wkl for the looks! 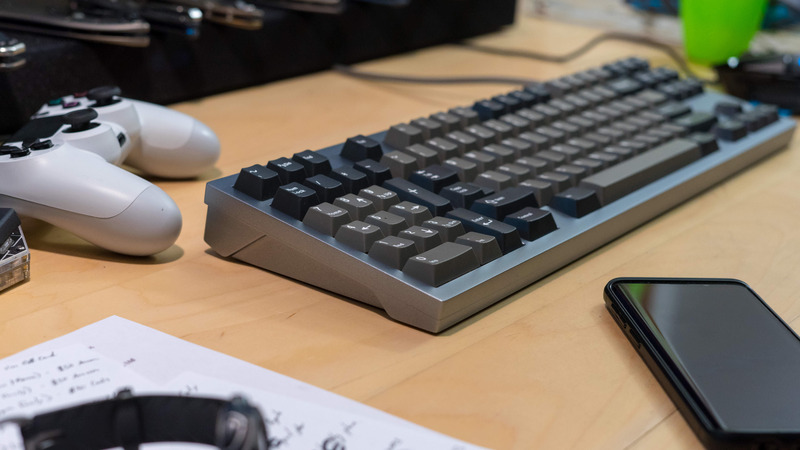 I use the Windows key for a couple of shortcuts (Windows start, run, screenshot, desktop, etc) I guess I could rebind the windows key to one of the 3 extra keys on top of the numpad tho! Do you use ralt and rctl? I'd rebind (and very likely will) rebind rctl or ralt to win, as I never use them (well sometimes ralt because it's altgr in german layout...). For those that want weights, I just remembered that you could calculate weight with fusion. 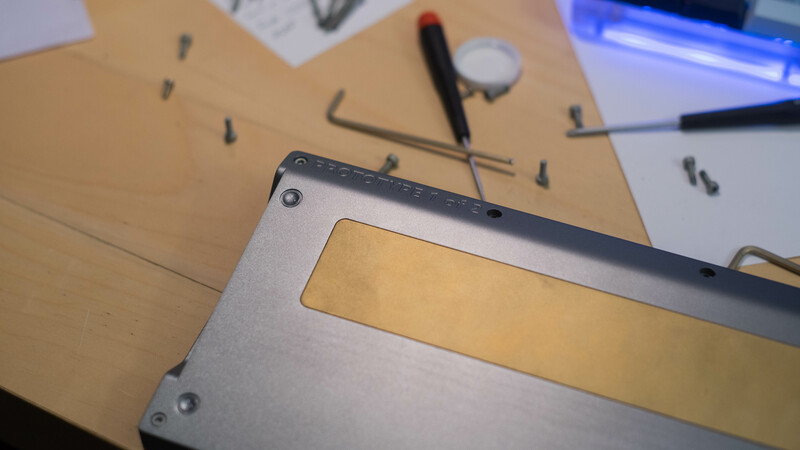 The SE kit comes to roughly 3.7kg with the 7075 case, brass plate and brass weight while the ST Kit comes to 2.2kg with the 6061 case and aluminum plate. These are much heftier than I realized. Even more so when you factor in that the weight doesn't include the PCB, switches and keycaps. Shipping might be more from the factory to me so prices might be on the high end of estimates, but I haven't done any exact calculations yet. Nevertheless, you'll have a damn hefty keyboard. Any updates on this? Can’t wait! Proto will be made in a few weeks after I finish fulfilling southpaw65. Gotta finish that first. Will it be possible to add a brass weight to the standard edition? I want the colour options of ST, with the weight of LTD if possible. Color options are the same for both variants. Both normal and premium finishes will be available, but the premium finishes have an additional price tacked onto them. Sorry I thought that 7075 aluminum wasn’t easy to colour like 6061, which is why dark grey and black are offered for it. Did I misunderstand that? just noticed this. super excited to get in on a south paw. it is a great design idea. Yeah, 7 series is more difficult to color compared to 6 and 5 series. I'll be doing color samples to determine which colors to run for which materials when I order the proto which should be very soon. Form submitted, can't wait for the GB to start!! Some more photos here below. It's being shipped here right now and should arrive by the end of the week so expect some proper photos sometime around then. I'll also be bringing it to the bay area keebs and coffee this Sunday if anyone wants to see it in person. Never tried a left handed numpad, but I like the idea! Looks great! Quality-wise, it's 99% there. The weight is a little bowed because of how I designed it so I'll be fixing that and doing a second proto. The other thing are the grain marks on the bottom side. After discussing things with the factory, they'll go ahead and chuck the ones that have that issue durring production. - The anodization is spot on. No dark spots or imperfections apart from the alu grain on the bottom. - The plate fits absolutely fantastic. Zero wobble or play in Gateron, Cherry MX, and Zealios. Minimal wiggle in Kailh speeds and boxes. - Seam between the top and bottom is nearly perfect. 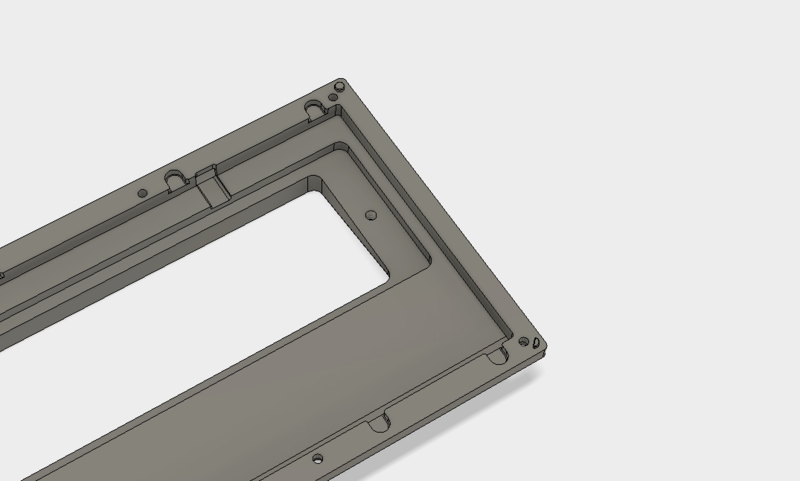 There is an inconsistency in the seam near where the alignment nubs are so I might get rid of those since it's whats causing the gap near the corners as the face is being machined with two tools with those there. - Only issue now is the weight. I somehow managed to design an acute angle into the weight recess which didn't work out to well. Additionally, the weight bows slightly because of the length so I've done a small redesign and now it should fit perfectly. I also made the weight a little bigger so it weighs more. Should result in too much, if any, of a price increase. Alright. Threw some switches and keycaps onto the plate to check fit and everything looks about right. 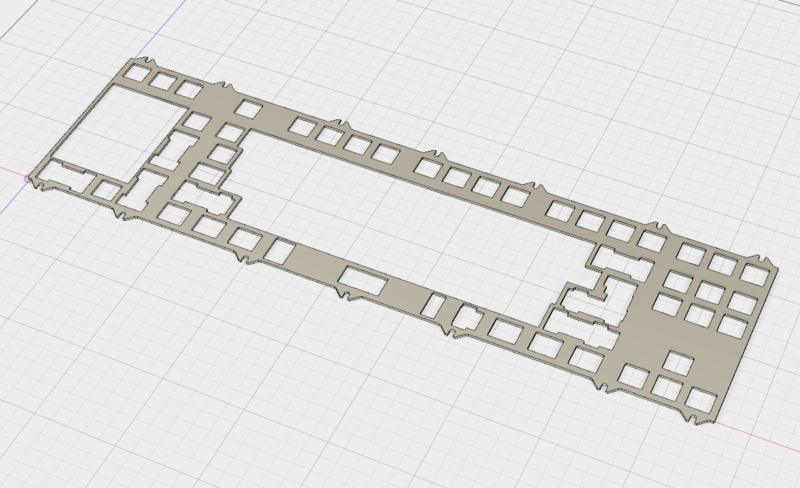 Will adjust some tolerances in the second proto so there's less of a chance of things not working out. Looks pretty nice with the dolch set on there. Just wished that this thing already worked. Well I'm in. The problem with full sized is the mouse is way off to the side. 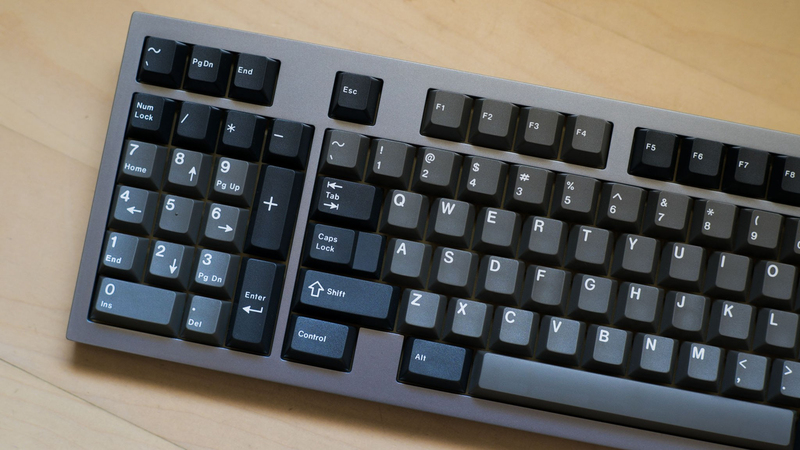 This pretty much solves that without losing the numpad or using nonstandard key sizes. Can I throw money at you yet? Seriously, the design is even sexier in prototype form. A Fine Architect to be! Alright, been looking for st like this for a long time! I'm not a southpaw but my righthand need to do too much works at the moments with the usual layout! That looks seriously amazing! Great job and thanks for keeping us updated. In for updates. Great looking board! I should be getting my V1 bent plate some time this week can't wait for that and this full size. If numpad is on the right side ... perfect! I'll see if I can offer engraving at a reasonable price, but its unlikely. I can most certainly offer custom laser though for the weight. A little bit of an update before we get going. I've changed the format and kinda have a relatively set date for the buy. It'll be FCFS limited to 75 units overall starting mid August. I'll announce the exact date on the Reddit IC later tonight or tomorrow. I know that there is a considerable amount more interest, but keeping it lower keeps me from having a perpetual headache. I'll also be hosting the GB for Lunar at the same time so I would optimally like to limit the number of units sold. If there is enough interest, again, I'll host another round. As far as format is concerned, you can choose your color/finish, if you want a weight, and your plate configuration. The final options look like this... Actually, colors haven't been finalized yet. Colors+Finishes - Cyan, purple, and red will only be available with in the 6-series alloy. Plates - Aluminum plates will be machined out of 6 series aluminum. Whooo! Excited for this to finally be gong to gb soon! I'll announce the exact date on the Reddit IC later tonight or tomorrow. Sorry if I missed it, but is there a link to the Reddit IC post you mentioned? I got swamped with work yesterday and didn't get a chance to put it up. I'll try again today. Alright. The reddit IC post is up and running. I'm going through and finalizing things at the moment and cleaning up the top post to better reflect what the final GB post will look like. Looks great. Would love it even more if nav cluster/arrows were on the left as well. Between the numpad and main portion? Yes sir Mr. Xondat. I'm sure that board already exists, right? A board like that does exist iirc, but the idea here with the nav cluster on the opposite side of the numpad was that you could use the arrow keys to navigate through things like a spreadsheet or photo album and put numbers or values in simultaneously without having to keep moving your hand from one place to the other. very true. That is more convenient than using the mouse. Any estimate on what time it will open on 7/16? I'll be on vacation and will need to arrange WiFi access to enter. Same question here. I'll be on the other side of the world for business, so this will likely be in the middle of the night for me; need to set an alarm. You also included blue, green, and orange anodizing on the IC; will they be available during the GB? What site/where will the GB be once it's open? I don't think I saw it posted anywhere, what time zone is this please? Lol I'm coming back late from Denver that night, and probably won't get home til almost 1. Hope it doesn't sell out in the first hour. Page created in 0.298 seconds with 219 queries.